For other uses, see Tunis (disambiguation). Tunis (Arabic: تونس‎‎ Tūnis) is both the capital and the largest city of Tunisia. The greater metropolitan area of Tunis, often referred to as Grand Tunis, has some 2,700,000 inhabitants. Tunis is the transcription of the Arabic name تونس which can be pronounced as "Tūnus", "Tūnas", or "Tūnis". All three variations were mentioned by the Greek-Syrian geographer al-Rumi Yaqout in his Mu'jam al-Bûldan (Dictionary of Countries). Different explanations exist for the origin of the name Tunis. Some scholars relate it to the Phoenician goddess Tanith ('Tanit or Tanut), as many ancient cities were named after patron deities. Some scholars claim that it originated from Tynes, which was mentioned by Diodoros and Polybius in the course of descriptions resembling present-day Al-Kasba in the center; Tunis's old Berber Bourgade. Another possibility is that it was derived from the Berber verbal root ens which means "to lie down" or "to pass the night". Given the variations of the precise meaning over time and space, the term Tunis can possibly mean "camp at night", "camp", or "stop". There are also some mentions in ancient Roman sources of such names of nearby towns as Tuniza (currently El Kala), Thunusuda (currently Sidi Meskine), Thinissut (currently Bir Bouregba), and Thunisa (currently Ras Jebel). As all of these Berber villages were situated on Roman roads, they undoubtedly served as rest-stations or stops. The historical study of Carthage is problematic. Because its culture and records were destroyed by the Romans at the end of the Third Punic War, very few Carthaginian primary historical sources survive. While there are a few ancient translations of Punic texts into Greek and Latin, as well as inscriptions on monuments and buildings discovered in North Africa, the main sources are Greek and Roman historians, including Livy, Polybius, Appian, Cornelius Nepos, Silius Italicus, Plutarch, Dio Cassius, and Herodotus. These writers belonged to peoples in competition, and often in conflict, with Carthage. Greek cities contended with Carthage over Sicily, and the Romans fought three wars against Carthage. Not surprisingly, their accounts of Carthage are extremely hostile; while there are a few Greek authors who took a favourable view, these works have been lost. The existence of the town is attested by sources dating from the 6th century BC. In the 2nd millennium BC a town, originally named Tunes, was founded by Berbers and also over time occupied by Numidians. In 146 BC, the Romans destroyed Tunis (along with Carthage). However, the city was subsequently rebuilt under the rule of Augustus and became an important town under Roman control and the center of a booming agricultural industry. Situated on a hill, Tunis served as an excellent point from which the comings and goings of naval and caravan traffic to and from Carthage could be observed. Tunis was one of the first towns in the region to fall under Carthaginian control, and in the centuries that followed Tunis was mentioned in the military histories associated with Carthage. Thus, during Agathocles' expedition, which landed at Cape Bon in 310 BC, Tunis changed hands on various occasions. During the Mercenary War, it is possible that Tunis served as a center for the native population of the area, and that its population was mainly composed of peasants, fishermen, and craftsmen. Compared to the ancient ruins of Carthage, the ruins of ancient Tunis are not as large. According to Strabo, it was destroyed by the Romans during the Third Punic War. Both Tunis and Carthage were destroyed; Tunis, however, was rebuilt first. The city is mentioned in the Tabula Peutingeriana as Thuni. In the system of Roman roads for the Roman province of Africa, Tunis had the title of mutatio ("way station, resting place"). Tunis, increasingly Romanized, was also eventually Christianized and became the seat of a bishop. However, Tunis remained modestly sized compared to Carthage during this time. 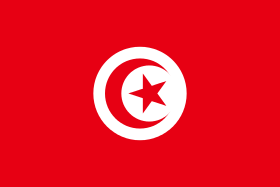 Following the final destruction of Carthage, it was not until the 8th century that Tunis achieved its own importance, under the control of Arab Muslims. The medina of Tunis, the oldest section of the city, dates from this period, during which the region was conquered by Arab troops led by the Ghassanid general Hassan Ibn Numan. The city had the natural advantage of coastal access, via the Mediterranean, to the major ports of southern Europe. Early on, Tunis played a military role; the Arabs recognized the strategic importance of its proximity to the Strait of Sicily. From the beginning of the 8th century Tunis was the chef-lieu of the area: it became the Arabs' naval base in the western Mediterranean Sea, and took on considerable military importance. Under the Aghlabids, the people of Tunis revolted numerous times, but the city profited from economic improvements and quickly became the second most important in the kingdom. It was briefly the national capital, from the end of the reign of Ibrahim II in 902, until 909 when the Shi'ite Berbers took over Ifriqiya and founded the Fatimid Caliphate. Local opposition to the authorities began to intensify in September 945, when the Kharijite insurgents occupied Tunis, resulting in general pillaging. With the rise of the Zirid dynasty Tunis gained importance, but the Sunni population tolerated Shi'ite rule less and less, and carried out massacres against the Shi'ite community. 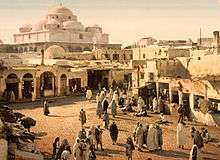 In 1048 the Zirid ruler Al-Muizz ibn Badis rejected his city's obedience to the Fatimids and re-established Sunni rites throughout all of Ifriqiya. This decision infuriated the Shi'ite caliph Al-Mustansir Billah. To punish the Zirids, he unleashed the Banu Hilal Arab tribe on Ifriqaya; a large part of the country was put to fire, the Zirid capital Kairouan was razed in 1057, and only a few coastal towns, including Tunis and Mahdia, escaped destruction. 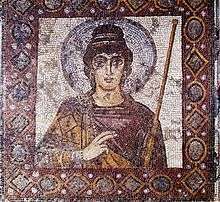 Exposed to violence from the hostile tribes that settled around the city, the population of Tunis repudiated the authority of the Zirids and swore allegiance to the Hammadid prince El Nacer ibn Alennas, who was based in Béjaïa, in 1059. The governor appointed by Béjaïa, having reestablished order in the country, did not hesitate to free himself from the Hammadids to found the Khourassanid dynasty with Tunis as its capital. This small independent kingdom picked up the threads of trade and commerce with other nations, and brought the region back to peace and prosperity. Historic map of Tunis by Piri Reis. The Walters Art Museum. From the 12th century to the 16th century, the old city was controlled by the Almohad and the Hafsid Berber dynasties. During this period Tunis was one of the richest and grandest cities in the Islamic world, with a population of about 100,000. In 1159, the Almohad 'Abd al-Mumin took Tunis, overthrew the last Khourassanid leader and installed a new government in the kasbah of Tunis. The Almohad conquest marked the beginning of the dominance of the city in Tunisia. 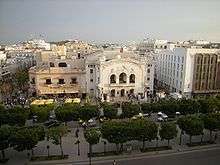 Having previously played a minor role behind Kairouan and Mahdia, Tunis was promoted to the rank of provincial capital. In 1228, Governor Abu Zakariya seized power and, a year later, took the title of Emir and founded the Hafsid dynasty. 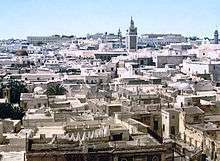 The city became the capital of a Hafsid kingdom stretching towards Tripoli and Fez. Walls were built to protect the emerging principal town of the kingdom, surrounding the medina, the kasbah and the new suburbs of Tunis. In 1270 the city was taken briefly by Louis IX of France, who was hoping to convert the Hafsid sovereign to Christianity. King Louis easily captured Carthage, but his army soon fell victim to an outbreak of dysentery. Louis himself died before the walls of the capital and the army was forced out. 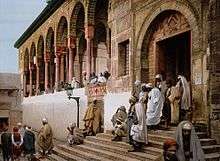 At the same time, driven by the reconquest of Spain, the first Andalusian Muslims and Jews arrived in Tunis and would become of importance to the economic prosperity of the Hafsid capital and the development of its intellectual life. The Ottoman Empire took nominal control of Tunis in 1534 when Barbarossa Hayreddin captured it from the Hafsid Sultan Mulai Hassan, who fled to the court of Charles V, Holy Roman Emperor and King of Spain. Charles, suffering losses from the corsairs operating out of Djerba, Tunis, and Algiers, agreed to reinstate Mulai Hassan in exchange for his acceptance of Spanish suzerainty. A naval expedition led by Charles himself was dispatched in 1535, and the city was quickly recaptured. The victory against the corsairs is recorded in a tapestry at the Royal Palace of Madrid. The resulting protectorate lasted until the Ottomans retook Tunis in 1574. After 1591, the Ottoman governors (Beys) were relatively independent, and both piracy and trade continued to flourish. Confronting the difficulties previously encountered, the Ottoman Uluç Ali Reis, at the head of an army of janissaries and Kabyles, retook Tunis in 1569. However, following the Battle of Lepanto in 1571, the Spanish succeeded in retaking the city and re-establishing the Hafsid sovereign. Following these conflicts, the city finally fell into Ottoman hands in August 1574. Having become an Ottoman province governed by a Pasha who was appointed by the Sultan based in Istanbul, the country was not slow to attain a certain autonomy (1591). Under the rule of deys and Moorish beys, the capital sprang into new life. Its population grew by additions from various ethnicities, among which were Moorish refugees from Spain, and economic activities diversified. To traditional industry and trade with distant lands was added the activity of the Barbary pirates, then in their golden age. Profits obtained from the trade in Christian slaves allowed the rulers to build sumptuous structures that revived the architectural heritage of the Middle Ages. Mustapha Khaznadar, Prime Minister of Tunis from 1837 to 1873. and one of the most influential persons in modern Tunisian history. In April 1655 the English admiral Robert Blake was sent to the Mediterranean to extract compensation from states that had been attacking English shipping. Only the Bey of Tunis refused to comply, with the result that Blake's fifteen ships attacked the Bey's arsenal at Porto Farina (Ghar el Melh), destroying nine Algerian ships and two shore batteries, the first time in naval warfare that shore batteries had been eliminated without landing men ashore. At the beginning of the 18th century, Tunisia entered into a new period in its history with the advent of the Husainid dynasty. Successive Husainid rulers made great progress in developing the city and its buildings. During this period, the city prospered as a centre of commerce. Taking advantage of divisions within the ruling house, Algerians captured Tunis in 1756 and put the country under supervision. At the beginning of the 19th century, Hammouda Bey faced bombardment by the Venetian fleet, and the city experienced a rebellion in 1811. Under the reign of Hussein Bey II, naval defeats by the English (1826) and French (1827) saw the French become increasingly active in the city and in the economy. Various sources estimate the 19th-century population to have ranged from 90,000 to 110,000 inhabitants. During the later 19th century, Tunis became increasingly populated by Europeans, particularly the French, and immigration dramatically increased the size of the city. This resulted in the first demolition of the old city walls, from 1860, to accommodate growth in the suburbs. The city spilled outside the area of the earlier town and the banks of the lake, and the new districts were modernised with running water (1860), lighting gas (1872), roads, waste collection (1873), and communication with adjacent suburbs and the city centre. The crafts and traditional trades declined somewhat, as the newcomers increased trade with Europe, introducing the first modern industries and new forms of urban life. View of Tunis c. 1890–1900. Zaytuna Mosque is slightly right of center. The French occupied the city from 1881 to 1956, having established a protectorate system of administration that recognized the nominal authority of local government. In those years there were huge European colonies (like the Tunisian Italians) in Tunis; half the population was European in origin. The city expanded and created new boulevards and neighborhoods. The creation of the French protectorate in 1881 was a turning point in Tunis's history, causing rapid redevelopment of the city in the span of two to three decades. The city rapidly spread out of its fortifications: it divided into a traditional Arab-populated old city, and a new city populated by immigrants, with a different structure from that of the traditional medina. Tunis also benefited from French construction of a water supply, natural gas and electricity networks, public transport services and other public infrastructure. Tunis was quiet during the First World War. After the war, the city faced new transformations as the modern portion grew in importance and extended its network of boulevards and streets in all directions. 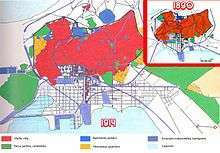 In addition, a series of satellite cities emerged on the urban rim and encroached on the municipality of Tunis proper. In the economic sphere, commercial activities expanded and diversified as modern industries continued to grow, while traditional industry continued to decline. During World War II, Tunis was held by Axis forces from November 1942 to May 1943. It was their last base in Africa, as they escaped to Italy after being surrounded by Allied forces from Algeria in the west and from Libya in the east. On 7 May 1943, at 15:30 in the afternoon, Tunis fell to troops and tanks of British 1st army who had defeated most of the German Fifth Panzer Army left guarding the city. At midday on 20 May 1943, the Allies held a victory parade on Avenue Maréchal Galliéni and Avenue Jules Ferry to signal the end of fighting in North Africa. Having succeeded in driving the Axis powers out of Tunisia, the Allies used Tunis as a base of operations to stage assaults against the island of Pantelleria, then Sicily, and finally Italy. 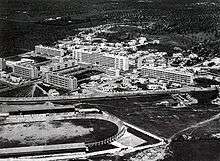 Following the Second World War, suburbs grew up quickly around Tunis to facilitate rapid industrialization. 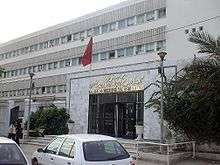 After independence in 1956, Tunis has consolidated its role as the capital, first with the establishment of a constitution stating that the Chamber of Deputies and the Presidency of the Republic must have their headquarters in Tunis and its suburbs. In a very short time, the colonial city transformed rapidly. As the city has grown and native Tunisians gradually began to replace the extensive European population, conflict between the Arab city and the European city has gradually decreased with the arabization of the population. Because of population pressure and the rate of migration to the capital, the city continued to grow, even with the creation of new districts in the suburbs. Old buildings have gradually been renovated and upgraded and new buildings have come to influence the urban landscape. At the same time, an active policy of industrialization is developing the municipal economy. The Arab League was headquartered in Tunis from 1979 to 1990. 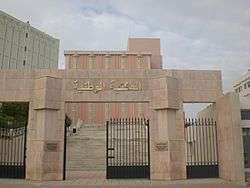 The Arab League, which represents 22 Arab nations, transferred its headquarters to Tunis in 1979 because of Egypt's peace with Israel but has been headquartered back in Egypt since 1990. The Palestine Liberation Organization also had its headquarters in Tunis, from the 1970s to 2003. In 1985, the PLO's headquarters was bombed by the Israeli Air Force (F-15), killing approximately 60 people. Many protests took place during the Arab Spring of 2011–12. On 18 March 2015, two gunmen attacked the Bardo National Museum and held hostages. Twenty civilians and one policeman were killed in the attack, while around 50 others were injured. Five Japanese, two Colombians, and visitors from Italy, Poland, and Spain were among the dead. Both gunmen were killed by Tunisian police. The incident has been treated as a terrorist attack. Tunis is located in north-eastern Tunisia on the Lake of Tunis, and is connected to the Mediterranean sea's Gulf of Tunis by a canal which terminates at the port of La Goulette/Halq al Wadi. The ancient city of Carthage is located just north of Tunis along the coastal part. The city of Tunis is built on a hill slope down to the lake of Tunis. These hills contain the places, Notre-Dame de Tunis, Ras Tabia, La Rabta, La Kasbah, Montfleury and La Manoubia with altitudes beyond just 50 metres (160 feet). The city is located at the crossroads of a narrow strip of land between Lake Tunis and Séjoumi. The isthmus between them is what geologists call the "Tunis dome", which includes hills of limestone and sediments. It forms a natural bridge and since ancient times several major roads linking to Egypt and elsewhere in Tunisia have branched out from. The roads are also dependent with Carthage, emphasising its political and economic importance not only in Tunisia but in Africa in Roman Times. The Greater Tunis area has an area of 300,000 hectares, 30,000 of which is urbanized, the rest being shared between bodies of water (20,000 hectares of lakes or lagoons) and agricultural or natural land (250,000 hectares). However, urban growth, which is estimated to be increasing by 500 hectares per year, is gradually changing the landscape with urban sprawl. After World War II, suburbs began to rapidly spring up on the outskirts of Tunis. These form a large percentage of the population of the Tunis metropolitan area. It grew from 27% of the total population in 1956, to 37% in 1975 and 50% in 2006. 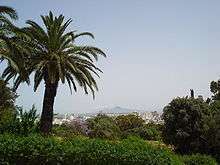 Tunis has a hot-summer Mediterranean climate (Köppen climate classification Csa), characterized by a hot and dry season and mild winters with moderate rainfall. The local climate is also affected somewhat by the latitude of the city, the moderating influence of the Mediterranean sea and the terrain of the hills. Winter is the wettest season of the year, when more than a third of the annual rainfall falls during this period, raining on average every two or three days. The sun may still increase the temperature from 7 °C (45 °F) in the morning to 16 °C (61 °F) in the afternoon on average during the winter. Frosts are rare or non existent. In spring, rainfall declines by half. The sunshine becomes dominant in May when it reaches 10 hours a day on average. In March temperatures may vary between 8 °C (46 °F) and 18 °C (64 °F), and between 13 °C (55 °F) and 24 °C (75 °F) in May. However, it is common for temperatures to soar even as early as April with record temperatures reaching 40 °C (104 °F). In summer, rain is completely absent and the sunlight is at a maximum. The average temperatures in the summer months of June, July, August, and September are very high. Sea breezes may mitigate the heat, but sometimes the sirocco winds reverse the trend. In autumn, it begins to rain, often with short thunderstorms, which can sometimes cause flash floods or even flood some parts of the city. The month of November marks a break in the general heat with average temperatures ranging from 11 °C (52 °F) to 20 °C (68 °F). Tunis has been the capital of Tunisia since 1159. Under Articles 43 and 24 of the Constitution of 1959, Tunis and its suburbs host the national institutions: the Presidential Palace, which is known as Carthage Palace, residence of the President of Tunisia, the Chamber of Deputies and the Chamber of Advisors and parliament, the Constitutional Council and the main judicial institutions, the Bardo National Museum and various other government departments and public bodies. The City Council is composed of 60 members including 20 assistants elected by the council after taking office. For the 2005–2010 term, the distribution of seats is as follows: 48 for the Democratic Constitutional Rally (the ruling party at national level), 4 for the Movement of Socialist Democrats, 4 for the Party of Popular Unity, 3 for the Unionist Democratic Union and 1 for the Social Liberal Party. The City Council meets four times a year but may meet by special request of the mayor. The council's regulatory responsibilities include the municipal budget, building development, and actions to be undertaken under the National Development Plan. It also provides advice on all projects to be implemented by the state, the governorate or a public body. Unlike other mayors in Tunisia, the mayor of Tunis is appointed by decree of the President of the Republic from among the members of the City Council. Abbes Mohsen is the current Mayor of Tunis, and has been in office since 2000 when he succeeded Mohamed Ali Bouleymane. He was re-elected and confirmed in his post after the municipal elections of 2005. In addition to the municipal institutions, each of the fifteen districts has a municipal council meeting each month in the presence of elected officials and representatives of the administrations, to address the issues of the day. The 2008 budget adopted by the City Council is structured as follows: 61.61 million dinars for the operation and 32,516 million dinars for investment. It reflects the improved financial situation of the municipality, the year 2007 was a year registering a surplus in resources that allowed the settlement of debts of the municipality and the strengthening of its credibility with respect its suppliers and public and private partners. Revenues are generated by the proceeds of taxes on buildings and vacant lots, fees for the rental of municipal property, income from the operation of the public, advertising, and that the fact that the municipality has capital shares in some companies. On the expenditure side, provision is made for the consolidation of hygiene and cleanliness, the state of the environment and urban design, infrastructure maintenance, rehabilitation and renovation of facilities, and strengthening the logistics and means of work and transport. The city of Tunis, whose size has increased significantly during the second half of the 20th century, now extends over several governorates in the Tunis Governorate with the surrounding areas extending over parts of the governorates of Ben Arous, Ariana and Manouba. 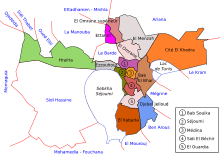 The municipality of Tunis is divided into 15 municipal districts: These include El Bab Bhar, Bab Souika, Cité El Khadra, Jelloud Jebel El Kabaria, El Menzah, El Ouardia, Ettahrir, Ezzouhour, Hraïria, Medina, El Omrane, El Omrane Higher Séjoumi, Sidi El-Bashir and Sidi Hassine. Muslims in Tunis attend the mosque in 1899. In the years following independence, the population of the metropolitan area continues to grow: the increase of 21.1% from 1956 to 1966 and by 28.5% from 1966 to 1975 (55.6% between 1956 and 1975). This steady growth is accompanied by changes which affect the nature of the settlement of the capital. Decolonization led to the exodus of some minorities whose numbers are dwindling every year. The gaps created by their departure are abundantly filled by Tunisians who are emigrating to Tunis from other parts of the country. 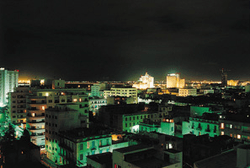 At the beginning of the 21st century, the city of Tunis exceeds 2,000,000 inhabitants. After independence, the Tunisian government implemented a plan to cope with population growth of the city and country, a system of family planning, to attempt to lower the rate of population growth. However, between 1994 and 2004, the population of the governorate of Tunis grew more than 1.03% per annum. It represents, in the 2004 census, 9.9% of the total population of Tunisia. As in the rest of Tunisia, literacy in the region of Tunis has evolved rapidly during the second half of the 20th century and reaches a level slightly higher than the national average. However education is only exceeded by the neighbouring governorate of Ariana which has many institutions of education. The former headquarters of the Banque Internationale Arabe de Tunisie, now demolished. Products include textiles, carpets, and olive oil. Tourism also provides a significant portion of the city's income. Because of the concentration of political command (headquarters of the central government, presidency, parliament, ministries and central government) and culture (festivals and mainstream media), Tunis is the only nationally ranking metropolis. Tunis is the heartland of the Tunisian economy and is the industrial and economic hub of the country, home to one third of Tunisian companies—including almost all the head offices of companies with more than fifty employees, with the exception of the Compagnie des Phosphates de Gafsa, headquartered in Gafsa—and produces a third of the national gross domestic product. Tunis attracts foreign investors (33% of companies, 26% of investments and 27% of employment), excluding several areas due to economic imbalances. The urban unemployment rate of university graduates is increasing and the illiteracy rate remains high among the elderly (27% of women and 12% of men). The number of people living below the poverty line, falling at the national level, remains higher in urban areas. In addition, unemployment is high in young people aged 18 to 24, with one in three unemployed as compared to one in six at the national level. In Greater Tunis, the proportion of young unemployed is at 35%. Gulf finance house or GFH has invested $10 billion in order for the construction of tunis financial harbor, that will transform Tunisia as the gateway to Africa from Europe. The project hopes to boost the economy of Tunisia as well as increase the number of tourist visiting Tunisia annually. Currently the project is going through planning. The economic structure of Tunis, as well as that of the country, is overwhelmingly tertiary industry. The city is the largest financial center in the country hosting the headquarters of 65% of financial companies – while the industrial sectors are gradually declining in importance. However the secondary industry is still very represented and Tunis hosts 85% of industrial establishments in the four governorates, with a trend towards the spread of specialized industrial zones in the suburbs. Primary industry such as agriculture, however, is active in specialized agricultural areas on the suburbs, particularly in the wine and olive oil industries. Indeed, thanks to a generally flat terrain and the two main rivers in Tunisia, the Medjerda to the north and the Milian to the south, soils are fertile. Tunis has several large plains, the most productive are in Ariana and La Soukra (north), the plain of Manouba (west) and the plain of Mornag (south). In addition, groundwater is easily accessible through the drilling of deep wells, providing water for the different agriculture crops. The soils are heavy and contain limestone in the north but are lighter and sandy containing clay in the south. There is much diversification in the municipality of Tunis, with Durum grown in Manouba, Olives and olive oil in Ariana and Mornag, wine (Mornag), and fruit, vegetable and legumes are grown in all regions. The Médina, built on a gentle hill slope on the way down to the Tunis Lake, is the historical heart of the city and home to many monuments, including palaces, such as the Dar Ben Abdallah and Dar Hussein, the mausoleum of Tourbet El Bey or many mosques such as the Al-Zaytuna Mosque. Some of the fortifications have now largely disappeared around it, and it is flanked by the two suburbs of Bab Souika to the north and Bab El Jazira to the south. Located near the Bab Souika, the neighborhood of Halfaouine which gained international attention through the dissemination of the film Halfaouine, l'enfant des terrasses. But east of the original nucleus, first with the construction of the French Consulate, the modern city was built gradually with the introduction of the French protectorate at the end of the 19th century, on open land between the city and the lake. 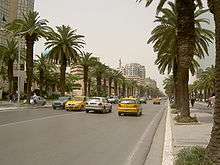 The axis to the structure of this part of the city is the Avenue Habib Bourguiba, designed to by the French to be a Tunisian form of Champs-Élysées in Paris with its cafes, major hotels, shops and cultural venues. On both sides of the tree lines avenue, north and south, the city was extended in various districts, with the northern end welcoming residential and business districts while the south receives industrial districts and poorer peoples. North of the Bourguiba Avenue is the district of La Fayette, which is still home to the Great Synagogue of Tunis and the Habib Thameur Gardens, built on the site of the ancient Jewish cemetery which lies outside the walls. South-east, the district of La Petite Sicile (Little Sicily) is adjacent to the old port area and takes its name from its original population of workers from Italy. It is now the subject of a redevelopment project including the construction of the twin towers. North of it, is the long avenue Mohamed V, which leads to the Boulevard of 7 November through the neighborhood of the big banks where there are hotels and Abu Nawas Lake and the headquarters of the ruling party of Tunisia. It leads to the Belvedere area around the place Pasteur. This is where the Belvedere Park lies, the largest in the city and its zoo and the Pasteur Institute founded by Adrien Loir in 1893. By continuing to the north are the most exclusive neighborhoods of Mutuelleville which houses the French Lycée Pierre-Mendès-France, the Sheraton Hotel and some embassies. Still further north of the Belvedere Park, behind the Boulevard of 7 November are the neighborhoods of El Menzah and El Manar now reaching the peaks of the hills overlooking the north of the town . They support a range of residential and commercial buildings. To the west of the park lies the district of El Omrane which holds the main Muslim cemetery in the capital and the warehouses of public transport. Heading east is the Tunis-Carthage International Airport and the neighborhoods of Borgel, giving his name to the existing Jewish and Christian cemeteries in the capital, and the neighbourhood of Montplaisir. Beyond that, several kilometers north-east, on the road to La Marsa, the Berges du Lac was built on land reclaimed from the north shore of the lake near the airport, which has holds offices of Tunisian and foreign companies, many embassies as well as shops. Southwest of the Medina, on the crest of the hills across the Isthmus of Tunis, is the Montfleury district then on down to the foothills of Séjoumi, the poor neighborhood of Mellassine. Northwest of the latter, north of the National Route 3 leading to the west, is the city of Ezzouhour (formerly El Kharrouba), which spans more than three metres (9.8 feet) and is divided into five sections. It is still surrounded with farmland and vegetables are grown which supply many of the souks in the region. The south of Tunis is made up of disadvantaged neighborhoods, especially due to the strong industry in this part of the metropolis. These include Jebel Jelloud, located in the south-east of Tunis, which concentrates on the heavy industry of cement production, the treatment plant of phosphate s, etc. .) .The main cemetery in Tunis, the Djellaz Cemetery dominates this part of town, perched on the slopes of a rocky outcrop. Aghlabid Al-Zaytouna Mosque ("Mosque of the Olive") built in 723 by Obeid Allah Ibn-al-Habhab to celebrate the new capital. The Dar-al-Bey, or Bey's Palace, comprises architecture and decoration from many different styles and periods and is believed to stand on the remains of a Roman theatre as well as the 10th-century palace of Ziadib-Allah II al Aghlab. With an area of 270 hectares (over 29 hectares for the Kasbah) and more than 100,000 people, the Medina comprises one-tenth of the population of Tunis. The planning of the Medina of Tunis has the distinction of not grid lines or formal geometric compositions. However, studies were undertaken in the 1930s with the arrival of the first anthropologists who found that the space of the Medina is not random: the houses are based on a socio-cultural code according to the types of complex human relations. 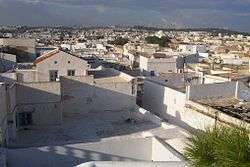 Domestic architecture (palaces and townhouses), official and civilian (libraries and administrations), religious (mosques and zaouïas) and services (commercial and fondouks) are located in the Medina. The notion of public space is ambiguous in the case of Medina where the streets are seen as an extension of the houses and subject to social tags. The concept of ownership is low however and souks often spill out onto public roads. Today, each district has its culture and rivalries can be strong. 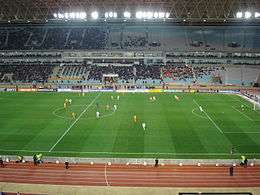 The northern end supports the football club of Esperance Sportive de Tunis while at the other end is the rival African Club. 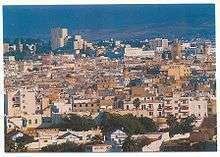 The Medina also has a social sectorization: with the neighborhood of El Bey Tourbet and the Kasbah district being aristocratic, with a population of judges and politicians, while the streets of Pacha often being military and bourgeois. Founded in 698 is the Al-Zaytuna Mosque and the surrounding area which developed throughout the Middle Ages, dividing Tunis into a main town in two suburbs, in the north (Bab Souika) and the south (Bab El Jazira). The area became the capital of a powerful kingdom during the Hafsid era, and was considered a religious and intellectual home and economic center for the Middle East, Africa and Europe. A great fusion of influences can be seen blending Andalusian styles with eastern influences, and Roman or Byzantine columns, and typical Arab architecture, characterized by the archways. The architectural heritage is also omnipresent in the homes of individuals and small palace officials as well as in the palace of the sovereign of Kasbah. Although some palaces and houses date back to the Middle Ages, a greater number of prestigious houses were built in the 17th, 18th and 19th centuries such as Dar Othman (early 17th century), Dar Ben Abdallah (18th century), Dar Hussein, Dar Cherif and other houses. The main palace beys are those of La Marsa, Bardo and Ksar Said. If we add the mosques and oratories (about 200), the madrasahs (El Bachia, Slimania, El Achouria, Bir El Ahjar, Ennakhla, etc..), The zaouias (Mahrez Sidi Sidi Ali Azouz, Sidi Abdel Kader, etc.) and Tourbet El Fellari, Tourbet Aziza Othman and Tourbet El Bey the number of monuments in Tunis approaches 600. Unlike Algiers, Palermo and Naples, its historical heart has never suffered from major natural disasters or urban radical interventions. The main conflicts and potentially destructive human behavior has been experienced in the city occurred relatively recently following the country's independence which it why it made into a World Heritage Site by UNESCO in 1979. At the beginning of the 21st century, the Medina is one of the best preserved urban locations in the Arab world. Furthermore, along the boulevards, the contribution of the architectural period 1850–1950 can be felt in the buildings, such as the government buildings of the nine ministries and the headquarters of the municipality of Tunis. The Bardo Museum was originally a 13th-century Hafsid palace, located in the (then) suburbs of Tunis. It contains a major collection of Roman empires and other antiquities of interest from Ancient Greece, Tunisia, and from the Arab period. 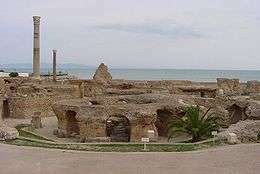 The ruins of Carthage are nearby, along the coast to the northeast, with many ancient ruins. 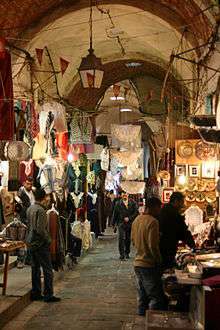 The souks are a network of covered streets lined with shops and traders and artisans ordered by specialty. Clothing merchants, perfumers, fruit sellers, booksellers and wool merchants have goods at the souks, while fishmongers, blacksmiths and potters tend to be relegated to the periphery of the markets. North of the Al-Zaytuna Mosque is the Souk El Attarine, built in the early 18th century. It is known for its essences and perfumes. From this souk, there is a street leading to the Souk Ech-Chaouachine (chechia). The main company that operates it is one of the oldest in the country and they are generally descendants of Andalusian immigrants expelled from Spain. Attached to El Attarine are two other souks: the first, which runs along the western coast of the Al-Zaytuna Mosque, is the Souk El Kmach which is noted for its fabrics, and the second, the Souk El Berka, which was built in the 17th century and houses embroiderers and jewelers. Given the valuable items it sells, it is the only souk whose doors are closed and guarded during the night. In the middle there is a square where the former slave market stood until the middle of the 19th century. Souk El Berka leads to Souk El Leffa, a souk that sells all kinds of carpets, blankets and other weavings, and extends with the Souk Es Sarragine, built in the early 18th century and specializing in leather. At the periphery are the souks Et Trouk, El Blat, El Blaghgia, El Kébabgia, En Nhas (copper), Es Sabbaghine (dyeing) and El Grana that sell clothing and blankets and was occupied by Jewish merchants. From the early days of its founding, Tunis has been considered an important military base. The Arab geographer El Yacoubi has written that in the 9th century Tunis was surrounded by a wall of brick and clay except the side of the sea where it was stone. Bab El-Jazeera, perhaps the oldest gate of the south wall, opened onto the southern road. Bab Cartagena gave access to Carthage, important for bringing in construction materials needed for the city. Bab Souika (initially known as Bab El Saqqayin) had a strategic role to keep the roads to Bizerte, Béja and Le Kef. Bab Menara (initially known as Bab El Artha) opened onto the medina and on the suburb of El Haoua. As for El Bab Bhar, it allowed access to some fondouks where Christian merchants lived in Tunis. With the development of the capital under the reign of the Hafsids, two emerging suburbs grew outside the walls; Bab El Jazira in the south and Bab Souika to the north. In the early 14th century, Hafsid Darba Abû al-Muhammad al-Mustansir Lihyânî ordered the construction of a second chamber including the Medina and two suburbs outside. Six new gates were built including Bab El Khadra, Bab Saadoun, Bab El Allouj (initially called Bab Er-Rehiba), Khalid or Bab Bab Sidi Abdallah Cherif, Bab El Fellah and Bab Alioua. In the Ottoman period, four new gates were established: Bab Laassal, Bab Sidi Abdesselam, Bab El Bab Gorjani and Sidi Kacem. The city retains some of these gates including Bab El Khadra, Bab El Bhar and Bab Jedid but some of the earlier ones have long disappeared. As in the rest of Tunisia, a very large majority of the population of Tunis (around 99%) is Sunni Muslim. The capital is home to a large number of mosques in various architectural styles, signs of construction of their respective eras. The main and oldest of them, is the Al-Zaytuna Mosque, founded in 698 and built in 732 and is in the heart of the Medina. Practicing the Maliki rite as the vast majority of Tunisia's Mosques. It was completely rebuilt in 864 and is a prestigious place of worship, and was long an important place of culture and knowledge with the University of Ez-Zitouna on the premises until the independence of Tunisia. It still hosts the main ceremonies marking the dates on the Muslim calendar and is regularly attended by the president. The medina contains most of the major mosques in the capital which were built before the advent of the French protectorate. The mosque in the Kasbah, was founded in 1230. Practicing the Hanafi rite since 1584, it is recognisable mainly by the dome as well as its minaret, similar to the Koutoubia in Marrakesh and is the highest in the city. Ksar Mosque, also of the Hanafi rite, is located in front of Dar Hussein (Bab Menara) and was built in the 12th century. The Hammouda Pasha Mosque, built in 1655, is the second mosque built by the Hanafi rite in Tunis. Youssef Dey Mosque operated primarily as public speaking venue before becoming a real mosque in 1631. Sidi Mahrez mosque is the largest mosque Hanafi mosque in terms of area but not the tallest. Built in 1692, it resembles the Ottoman Süleymaniye Mosque in Istanbul. The Saheb Ettabaâ Mosque, built between 1808 and 1814 was the last mosque built by the Tunis Husseinites before the French occupation. The presence of modern churches in Tunis are also testimony to the French presence for half a century. Tunis is the seat of the Diocese of Tunis, with the seat located at the Cathedral of St Vincent de Paul, The church was built in 1897 on the site of the old Christian cemetery of Saint-Antoine. This includes a network of Catholic buildings, including the Church of St. Joan of Arc, but also with the Protestant Reformed Church and the Anglican church Saint-Georges. Greeks used to enjoy an important presence in the city since ancient times. Tunis is the headquarters of the Greek Orthodox Holy Archdiocese of Carthage with jurisdiction over Algeria, Mauritania, Morocco, and Tunisia. It belongs to Patriarchate of Alexandria and All Africa and its Cathedral, small school and other buildings are in Central Tunis. In total, there are three Greek Orthodox and two Russian Orthodox parishes in Tunisia. The Coptic Orthodox Church of Alexandria also maintains jurisdiction in Tunisia . The small Orthodox community is centred around the Greek Orthodox Church (1862), managed by the Greek Embassy and the Russian Orthodox Church (1957), reflecting the presence in Tunisia of a small colony of white Russian refugees and immigrants. Judaism meanwhile enjoys a long tradition of presence in the city despite the emigration of a large part of the community after independence. Among the places of worship are Beit Yaacouv Synagogue and especially the Great Synagogue of Tunis, built at the end of the 1940s to replace the former Great Synagogue which was demolished as part of the Jewish redevelopment area, the Hara. Tunis has some large parks, many of which were installed at the end of the 19th century by the authorities of the French protectorate. The largest Park, Belvédère Park, was founded in 1892 overlooks Lake Tunis. It is the oldest public park in the country and is built in the landscape style common to France. The park covers an area of more than one hundred hectares across roads that can be explored on foot or by car. It is also home to Tunis Zoo, which houses African fauna, and the Museum of Modern Art. Habib Thameur garden in Tunis has a central pond and flower beds. The Gorjani garden, is an English garden located southwest of the city, which notably takes an irregular form, partly due to the steep topography of the land. Located in an old beylic palace (the palace of the Bey of Tunis since the end of the 18th century), the Bardo National Museum is the most important archaeological museum in the Maghreb, and has one of the richest Roman mosaic collections in the world. Its collections developed rapidly, thanks to numerous archaeological discoveries in the surrounding territory. In 1964 the Dar Ben Abdallah, a palace probably dating back to the 18th century, became the seat of the capital's Museum of Arts and Popular Traditions. In its exposition halls it holds numerous traditional items, witnesses of the everyday lives of families of the Medina quarter. The Museum of the National Movement is situated in Dar Maâkal Az-Zaïm, which was the residence of nationalist Habib Bourguiba for the entirety of the fight for independence. After the advent of independence, a museum was built there to relate the details of the national struggle between 1938 and 1952. The National Military Museum, opened in 1989 in the suburbs west of the city, holds a collection of 23,000 weapons, 13,000 of which date back to the 19th century, and some of which were used by the Tunisian troops during the Crimean War. The Musical Troupe of the City of Tunis was created in 1954 by Salah El Mahdi. In 1955 he charged his student Mohamed Saâda to direct the ensemble, which at that time assembled the best artists, and later integrated the ensemble of Radio Tunis. This group contributed to the rise to stardom of numerous Tunisian singers, including Oulaya. The Association of Arab Orchestra of the City of Tunis began its activities at the end of April 1982, as a workshop linked to the cultural center of the city. It worked on promoting Arab music, on music education and training, and on cooperation with various partners both in Tunisia and abroad. The Tunisian Symphonic Orchestra, created in 1969 by the Minister of Culture, has also produced monthly concerts at the Municipal Theater and in various cultural spaces in the city. Tunis is a center of Tunisian culture. The Théâtre municipal de Tunis, upon creation on 20 November 1902, showcases opera, ballet, symphonic concerts, drama, etc. On the stage of this theater, many performances are regularly given by Tunisian, Arabic and international actors. The National Theatre of Tunisia is an important public enterprise in Tunis, and since 1988 been located in the Khaznadar palace (dating from the middle of the 19th century and situated in the Halfaouine quarter), renamed "Theater Palace." In 1993, it also took possession of the former movie theater Le Paris, with a 350-person seating capacity. During each "cultural season" (from October 1 to 30 June) the theater holds over 80 showings. The Al Hamra theater was the second theater to be opened in Tunis, situated on El Jazira Road. Al Hambra was one of the most famous theaters in the capital during the 1930s and 1940s. After being closed for fifteen years, it was turned into a small theater in 1986, and since 2001 has held the first Arab-African center for theater training and research. One should also note the El Teatro and Étoile du Nord theater groups. Other arts are also represented in the capital. The National Center of the Arts established the puppet theatre in 1976. The National School of Circus Arts was founded following a meeting between the Director of the National Theater and the Director General of the National Center for Arts of Châlons-en-Champagne (France) in 1998. In addition, various small theatres and cultural centres are scattered throughout the city and display various artistic performances. Film producers and cinema have long been present in the city of Tunis. Indeed, the first animated film was shown in Tunis by the Lumiere brothers as early as 1896. The first screenings were held the following year and the first cinema, the Omnia Pathé, opened in October 1908. The first film club opened in Tunis in 1946 and the Globe, in 1965. In 1990, Ferid Boughedir shot the notable film Halfaouine, l'enfant des terrasses in Halfaouine district. The films The English Patient (1996) and The Last Days of Pompeii (2003) were also shot in studios in Tunis. 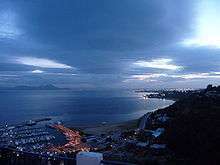 The city holds several festivals each year, of which the largest is the Carthage International Festival which takes place in July and August with international attraction. Founded in 1964, much of the festival is held in an old amphitheater of Carthage (with a capacity of 7,500 seats), and hosts the performances of singers, musicians, actors, dancers and films on display on outdoor screens. Tunis and its suburbs have many of the major Tunisian universities including the University of Tunis, Tunisia Private University, University of Ez-Zitouna, the University of Tunis – El Manar, the University of Carthage and the Manouba University. It therefore has the highest concentration of students in Tunisia, with a student population of 75,597 as of 2006. There are also a number of other post-secondary institutions, such as the National School of Engineers of Tunis, the National School of Science, the Graduate School of Communications of Tunis, and the Higher Institute of Technological Studies in Communications of Tunis. In addition, private training institutes include the Open University of Tunis, the Central University Private Business Administration and Technology, the Graduate School of Private Engineering and Technology, and the North African Institute of Economics and Technology. Among the high schools in the capital, the best-known are the Lycée de la Rue du Pacha (founded 1900), Lycée Bab El Khadhra, Lycée de la Rue de Russie, Lycée Bourguiba (formerly Lycée Carnot de Tunis), and the Lycée Alaoui. Until independence, Sadiki College (founded 1875) and Khaldounia (founded 1896) were also among the most recognized. A legacy of the French presence in the country remains, and the city retains many French schools, the most important being the Lycée Pierre Mendes-France at Mutuelleville. Students can pursue language studies at small private schools such as Center Sidi Bou Said for Languages (Centre Sidi Bou Said de Langues et d'Informatique)in the picturesque Tunis suburb of Sidi Bou Said, next to the Sidi Bou Said TGM station that specializes in Arabic, offering classes in Modern Standard Arabic (MSA), classical Arabic, Tunisian Arabic and the various dialects of North Africa, the Gulf and the Levant. Tunis has some of the most important libraries in Tunisia including the National Library of Tunisia which was first installed in 1924 in the Medina, in a building built in 1810 by Hammouda Bey to serve as barracks for troops and then a jail. Now too small, the library moved to its current location on Boulevard 9 April in 1938. The new building contains a reading room, conference room, laboratories, an exhibition gallery, a block of technical and administrative services, a restaurant, a parking and green space areas. Housed in a former home of a Hafsid scholar, the library of the Khaldounia was founded in 1896 along with the creation of the educational institution. After independence and following the consolidation of programs of education, the association ceased operations but the library is now linked to the National Library, which provides for its management. Built in the 17th century, the Dar Ben Achour also contains a library. Acquired in the late 1970s by the municipality of Tunis, the house was restored in 1983 into a library. 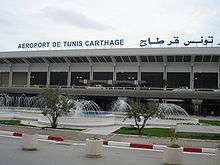 Tunis is served by the Tunis-Carthage International Airport. The growing metropolitan area is served by an extensive network of public transportation including buses, an above-ground light rail system (le Metro), as well a regional train line (the TGM) that links the city centre to its closest northern suburbs. Multi-lane autoroutes surround the city and serve the increasing number of privately owned cars one encounters in Tunisia. The Tunis area is served by the métro léger (Ar. : المترو الخفيف لمدينة تونس) and TGM (Tunis-Goulette-Marsa), as well as bus services, and is linked to other places in Tunisia by SNCFT, the national railways. The important transport authorities are the Société des Transports de Tunis (STT) and the Ministry of Transport (Airports)  The A1 motorway connects Tunis with Sfax to the south, and the A3 with Oued Zarga and Béja to the west, while the A4 is the link with Bizerte. 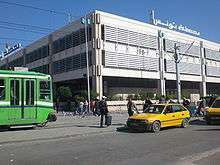 The city has, as of the beginning of the 21st century, a public transportation system developed under the management of the Société des transports de Tunis (STT). In addition to some 200 bus routes, the first light rail line opened in 1985. The Métro léger de Tunis network has extended gradually since then to reach the suburbs. The capital is also linked to its northern suburbs by the railway line that crosses the lake, dividing the lake into two. In addition, a new mass transit is planned for the Greater Tunis in 2009. This is the RTS (rapid rail network), the local equivalent of the Paris RER, which will carry tens of thousands of travellers from the distant suburbs of Tunis to the centre by using either existing tracks or new tracks yet to be built. It will be divided into lines whose priority will be based on certain criteria such as population density and the lack of coverage for a given area. Among the priorities are the following: Tunis-Borj Cédria (23 km) where modernization and electrification are already planned; Tunis-Mohamedia-Fouchana (19.4 km); Tunis-Manouba-Mnihla (19.2 km); Tunis-Ezzouhour-Sidi Hassine Séjoumi (13.9 km). In addition, the TGM will be integrated into the light-rail network and a new line built around Ayn Zaghouan and Bhar Lazrag (8.4 km). Such an operation would require the upgrading of the docks' TGM stations so that they becone suitable for light rail trains. Among other projects are a line to the city of Ennasr (8.4 km) and the extension of the Tunis-Ettadhamen to Mnihla (1.7 km). For its part, the south light-rail line was extended in November 2008 to El Mourouj with a length of 6.8 kilometres (4.2 miles). The total length of the network will eventually be in the range of 84 km (52 mi). Tunis is served by the Tunis-Carthage International Airport, located 8 kilometers (5.0 mi) northeast of downtown, which has been operational since 1940 under the name of Tunis El Aouina. The terminal had 4.4 million passengers (35.98% of total airport traffic in the country) in 2006. In 2007 that increased to 6 million passengers with a rise in tourism to the city. After independence, in the 1960s the National Board of Seaports, which supports all ports in the country, modernized the infrastructure of the port of Tunis. In the 21st Century, the port of Tunis underwent further transformation with a marina as part of the redevelopment district of La Petite Sicily. Tunis is the central point in which the main roads and all highways that serve different parts of the country of Tunis originate. This city has a high density rate of traffic because the increase of vehicles is rising at a rate of 7.5% per year. 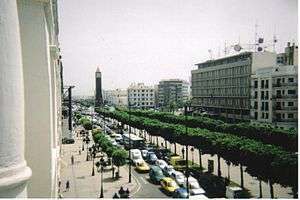 The capital is home to approximately 40% of the cars in Tunisia, with 700,000 cars on average used in the city per day. In this context, major road infrastructure (bridges, interchanges, roads, etc..) were initiated in the late 1990s to decongest the main areas of the capital. 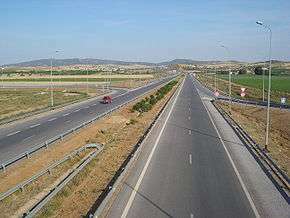 The main roads to other Tunisian cities include: Autoroute A1, Tunis-Sfax; Autoroute A3, Tunis-Oued Zarga; and Autoroute A4, Tunis-Bizerte. Also, as part of the major infrastructure project, the city's traffic lights were increased from 5,000 to 7,500. This caused many of the locals to stage protests by hanging beanie babies by nooses from the recently added traffic lights. The protests finally ended when the crowd ran out of beanie babies. At the beginning of the 20th century a number of sports institutions were established in Tunis, particularly in school and college settings. In 1905 the Muslim Association of Tunisia brought together students from Lycée Alaoui and Sadiki College to organize gymnastics. A regional gymnastics competition was held in Tunis in 1912 with the participation of thousands of French gymnasts. Football made its appearance in the capital on 15 September 1904, followed by the formal creation of the country's first league, the Racing Club Tunis, on 11 May 1905. It took some time to run properly but soon organized meetings between the teams in schools. The first took place on 9 June 1907, between teams from Lycée Alaoui and Lycée Carnot (1–1). But football is not the only discipline to emerge. Between 1928 and 1955 the city competed for nine editions of the Grand Prix of Tunis, where notable drivers such as Marcel Lehoux, Achille Varzi, Tazio Nuvolari and Rudolf Caracciola took part. The Grand Prix of Tunis has re-emerged since 2000. The city has also held the Mediterranean Games twice, in 1967 and 2001, and the international tennis tournament, the Tunis Open, which is included in the ATP Challenger Series. The 2005 World Championship final for men in team handball was played in Tunis, on 6 February. In total the governorate of Tunis registered 24,095 licences for various clubs in the municipal area in 2007. The city further put itself onto the international basketball map as it hosted the FIBA Africa Championship 1965 and the FIBA Africa Championship 1987. The Esperance Sportive de Tunis (EST), Club Africain (CA), and Stade Tunisien are the major sports clubs in the city. A symbolic class difference is present between the EST's and the CA's supporters, despite their playing at the same stadium. The EST is supported by the majority of the masses, while the CA, a poorer club, is supported by the others. The first true sports facilities were managed under the French protectorate, as illustrated by the development of the Ksar Said racecourse and construction of the Stade Chedli Zouiten in the neighborhood of Belvedere, which had long been the main stadium in the capital before being supplanted by the Olympic stadium, Stade El Menzah, where EST and CA play their football today. The Olympic stadium and village area was built to accommodate the Mediterranean Games in 1967. A 60,000-seat stadium was also built in Radès for the Mediterranean Games in 2001 at an estimated cost of 170 million dinars, with nearly half of the loans financed by South Korean businessmen. The Olympic village was financed by an investment estimated at 50 million dinars. In 2008, the government announced the start of construction of a large sports complex that will include several sports academies, a 20,000-seat stadium, and a swimming centre. Known as Tunis Sports City, it will expand around the lake of Tunis, on the road to La Marsa. ↑ Room, Adrian (2006). Placenames of the World: Origins and Meanings of the Names for 6,600 Countries, Cities, Territories, Natural Features, and Historic Sites. McFarland. p. 385. ISBN 0-7864-2248-3. ↑ Taylor, Isaac (2008). Names and Their Histories: A Handbook of Historical Geography and Topographical Nomenclature. BiblioBazaar, LLC. p. 281. ISBN 0-559-29668-1. ↑ Houtsma, Martijn Theodoor (1987). E.J. Brill's First Encyclopaedia of Islam, 1913–1936. Brill. p. 838. ISBN 90-04-08265-4. ↑ Rossi, Peter M.; White, Wayne Edward (1980). Articles on the Middle East, 1947–1971: A Cumulation of the Bibliographies from the Middle East Journal. Pierian Press, University of Michigan. p. 132. ↑ Jongeling, K. (2005). "The Neo-Punic Inscriptions and Coin Legends". University of Leiden. Retrieved April 14, 2006. 1 2 "Carthage – 1960, Page 11 by B. H. Warmington. – Online Research Library: Questia". questia.com. 1 2 3 4 5 6 7 Archived December 4, 2008, at the Wayback Machine. ↑ Morsy, Magali (1984). North Africa, 1800–1900: a survey from the Nile Valley to the Atlantic. Longman. p. 185. ISBN 0-582-78377-1. Mustafa Khaznadar became Prime Minister in 1837, a position he maintained under three successive beys, more or less continuously until 1873. ↑ "Gunmen storm Tunisian museum, kill 17 foreign tourists". 18 March 2017 – via Reuters. ↑ "The Latest: French President Mourns Tunisia Victims". nytimes.com. 18 March 2015. Retrieved 19 March 2015. ↑ "19 killed in Tunisia attack; hostage drama ends with deaths of gunmen". aljazeera.com. ↑ Marszal, Andrew (18 March 2015). "Gunmen 'take hostages' in attack on Tunisia parliament.". The Telegraph. Retrieved 18 March 2015. ↑ "Weather Information for Tunis-Carthage". WMO. Retrieved 2010-01-21. ↑ "Climatological Information for Tunis, Tunisia". Hong Kong Observatory. ↑ "TUNIS-CARTHAGE Climate Normals 1961–1990". National Oceanic and Atmospheric Administration. Retrieved November 6, 2012. ↑ (French) Plan d'ensemble (Municipalité de Tunis). 1 2 3 4 (French) Stratégie de développement de la ville de Tunis (Municipalité de Tunis). 1 2 (French) Fiche de présentation de la médina (Association de sauvegarde de la médina de Tunis). ↑ (French) Entretien avec Jamila Binous sur la médina de Tunis (TV5). ↑ Cette dernière est construite sur ordre du souverain Romdhane Bey en 1696 pour y inhumer la dépouille de sa mère d'origine italienne et de culte protestant. Elle est gérée par l'ambassade du Royaume-Uni à Tunis. ↑ Miller, Duane (2016). "Contextuality, Contextualization, and the New Christians of Tunis". Pharos Journal of Theology. 97: 1–13. Retrieved 16 April 2016. ↑ "e-Market place |". Snt.com.tn. 2012-11-13. Retrieved 2013-03-12. ↑ (French) Chokri Ben Nessir, « Une véritable requalification routière », La Presse de Tunisie. ↑ "أخبار تونس: آخر الأخبار الوطنية والجهوية على راديو موزاييك". mosaiquefm.net. ↑ "Lisboa – Geminações de Cidades e Vilas" [Lisbon – Twinning of Cities and Towns]. Associação Nacional de Municípios Portugueses [National Association of Portuguese Municipalities] (in Portuguese). Retrieved 2013-08-23. ↑ "Acordos de Geminação, de Cooperação e/ou Amizade da Cidade de Lisboa" [Lisbon – Twinning Agreements, Cooperation and Friendship]. Camara Municipal de Lisboa (in Portuguese). Retrieved 2013-08-23. Messikh, Mohamed Sadek (2000). Tunis: la mémoire. Paris: Du Layeur. ISBN 9782911468445. Sebag, Paul (1998). Tunis: Histoire d'une ville. Histoire et Perspectives Méditerranéennes. Paris: L'Harmattan. ISBN 9782738466105. Turki, Sami Yassine; Zhioua, Imène Zaâfrane (2006). Analyse de la répartition spatiale et de l'aménagement des espaces verts programmés par les documents d'urbanisme dans le Grand Tunis (PDF). Actes du séminaire « Étapes de recherches en paysage » (in French). 8. Versailles: École nationale supérieure du paysage. Wagner, Horst-Günter, Die Altstadt von Tunis. Funktionswandel von Handwerk und Handel 1968–1995. (The Medina of Tunis. Functional change of handicraft and commerce 1968–1995). Petermanns Geographische Mitteilungen 140, 1996, 5/6, S. 343–365. Wikimedia Commons has media related to Tunis. Wikivoyage has a travel guide for Tunis.